Switzerland ranks as one of the most competitive economies globally. There are different reasons for this success, which can be found down the road of history. As a non-EU country, Switzerland needs to prove itself in a fast changing environment. This makes it more interesting to dive deeper and understand the key success drivers. In particular, let’s take a closer look at Switzerland’s approach to education, which has long been an important cornerstone to the country’s growth. One fact is indeed very interesting about Switzerland: There is no oil, no coal or other natural resources in this mountainous country. That’s why there is a common saying that the only valuable resource of Switzerland is the thing between the ears of its citizens. But what are the positive and critical aspects of the Swiss education sector and how can a company like Samsung contribute to the success of Switzerland? First, we need to understand the structure of the education system. Switzerland is a federal government with four official languages, where the 26 Cantons enjoy a lot of independent decision-making power. For public schools, this means that there is not one national Minister of Education but 26 of them, one for each Canton. For every language region, there is some coordinating of the curriculums for both primary and secondary schools. However, general guidelines on education vary between the Cantons. The Cantonal Ministers of Education enjoy this independence and proactively prevent the involvement of the national government into school issues. This sounds complicated and inefficient. So what are the benefits of this approach? There are tailor-made educational plans based on the needs of every Swiss region. Education is, therefore, also in line with the requirements of the local economy. This is, in my opinion, the first secret of Switzerland’s success. The Swiss education system compromises the primary and lower-secondary education levels. Upper-secondary education contains vocational education and training (VET) and general education schools like Baccalaureate schools. The VET is the second success secret for the Swiss economy. Here’s why. A majority of young adults enroll in VET after completing lower-secondary schooling. VET means that they learn a profession, like carpentry or IT-support, in a training company combined with classes at a VET school. This apprenticeship lasts two or three years. The majority of young Swiss citizens choose to do a VET in a company. To use myself as an example: I did my VET at an insurance company, working for three years in a company, gaining more and more responsibilities. Of course it was paid, which for me was one of the key arguments for doing the VET. During my VET, I received further special certification, which allowed me to go to university and graduate with a Master’s degree in Business Administration a couple of years later. 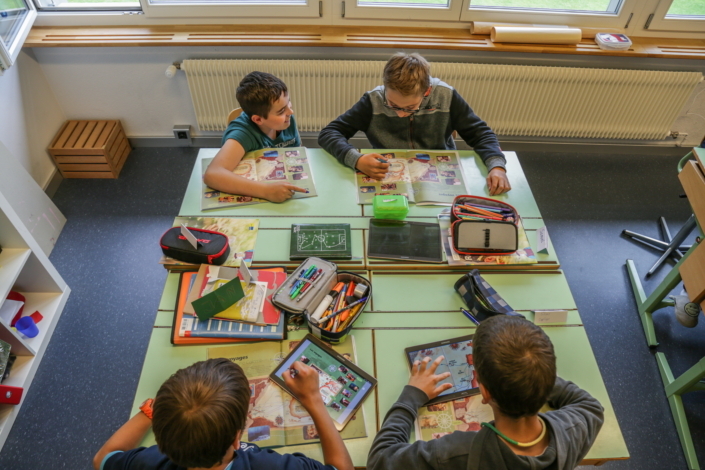 Despite the great success of education in Switzerland, there is still an issue being widely discussed, one that could have a broad impact on the fitness of the economy – digital education. Between the poles of a traditional understanding of teaching and the digital tsunami of the modern world, it seems that Switzerland has been a little reluctant to change. Of course, there have been early adopters of digital education amongst the country, mostly because of dedicated teachers who are not afraid to use and promote new technologies during lessons. However, there are also quite a large number of schools with slow internet connections. It’s not only a question of infrastructure, but also about the official curriculum and the skills of teachers. This is where Samsung decided to support the government with its Corporate Citizenship projects in Switzerland. As a first step, Samsung decided to partner with schools. The goal was to launch a pilot program for digital education – inspirational schools where teachers could learn how to use the possibilities of the fourth industrial revolution. With six strategic partner schools, Samsung is supporting 1,500 teachers and students. These are the schools where I met with young teachers, newly graduated from teaching universities, keen to use tablets and the possibilities of web-based learning during their classes. I also met a teacher who successfully implemented digital education for cooking class. And, finally, I met a brave teacher in her 50s who enriched her French classes using digital technology. These teachers are the key to solving the digital problem. According the “Global ICT Report 2015” from the World Economic Forum, there was one major mistake made in the past when it came to the digitization of education: The lack of teacher training. This is why Samsung Switzerland supports teacher training. In a partnership with Switzerland’s biggest teaching university, Pädagogische Hochschule Zürich, Samsung is subsidizing an official training course for teachers from public schools. The officially certificated courses are increasing teachers’ understanding about the added value of digital education. And guess what: They are fully booked all the time. 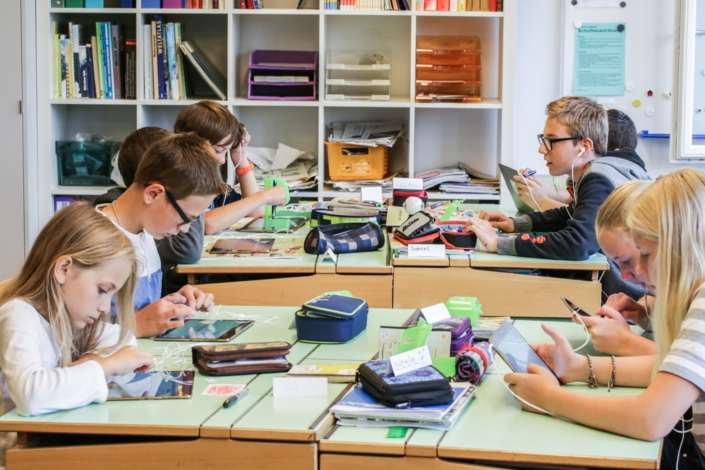 I often ask myself how Swiss schools will use digital devices in five years. In my humble opinion, it will be a typical “Swiss Solution”! This means there will not be a single solution, but 26 different approaches with some overlapping goals. It’s a unification of diversification – or, to put it more simply: Take the best and leave the rest. Digital education will not be a separate school subject, but will be integrated into every lesson, be it math, English or geography, as a tool for teaching and for learning. 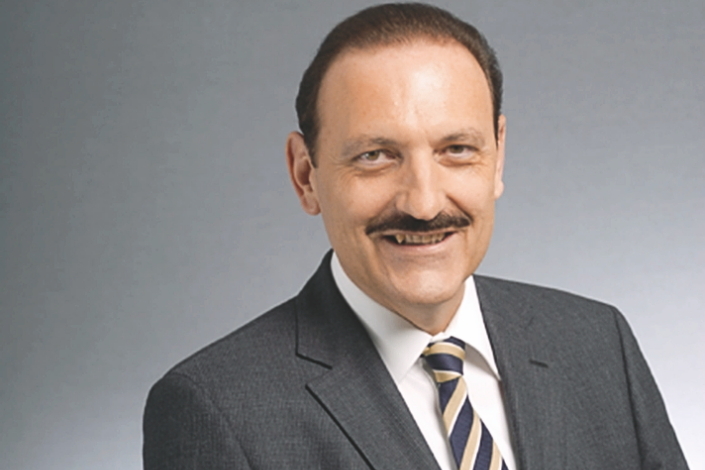 When asking the President of the Swiss Teachers Association, Beat Zemp, about the roles of companies during the upcoming transition in public schools, he answered very clearly. The government, schools and business should work together closely. Companies like Samsung are most welcome to support the implementation of the upcoming challenges. Beat Zemp, President of the Swiss Teachers Association. To be frank, it is more complicated to change a decentralized education system like the one in Switzerland. This is a risk for the country because time matters in a digital and global economy. But, the opportunity for Switzerland is bigger: It will not be the world’s first digital education, but it will be high-quality. Making this change will require all stakeholders to walk the extra mile, but with a joint effort, Switzerland will make it happen.